London Heathrow airport is one of busiest aeroplane hub in the world [Independent]. In fact, its air traffic controllers handle over 1,300 flights on a daily basis. They use complex, reliable computing equipment with compatible PC peripherals, such astrackerballs, to monitor individual flights. Industrial pointing devices, liketrackerballs, are built with a material that can withstand frequent usagewhilemaintaining its fast response time. It can also provide better functionality,which makes it easier for the operators to use in air traffic control system. So, what makes atrackerball theideal pointing device for air traffic applications? Learn more on this blog and let us explore why this device isbeing utilisedto many air traffic control systems. Air traffic control towers often have limited space environments [Daily Mail]. That is why they are using a compact but reliable computing system to monitor the aeroplane activities efficiently. Industrial PCs withtrackerballoffer compact and ergonomic design, which provides space-saving capabilities. Moreover, it has a stable mounting platform which prevents the on-screen pointer to move incidentally. Therefore, it is easier for air traffic controllers to manage airport flights. Now, integratingcomputerequipment withtrackerballsto a flight control system also yieldsmanybenefits. Usually, airports such as the London Heathrow Airport operates on a 24-basis.Thismeans that any delays due to faulty equipment can hinder operations and possibly risk passenger safety on flights. However,havingtoinstall a panel PC with industrial-grade trackballs can help prevent delay due to hardware failure. It comes with a front sealed design that can resist water, dirt, and chemicals. So, thispreventsdamage to the device’s circuitry. As a result, it can provide better performance even when exposed to harmful substances. Ruggedisedtrackballs have stable platforms with fixing holes that allows any angle options. So, this makes it easier for the pointing device tobe installedincriticalareas without having to allocate a large, dedicated space. Modern air traffic control systems use an efficient software to monitor individual planes.However,it requires compatible panel PCs and peripherals to operateappropriately. Trackerballsbear a firmware that is programmed to work with its existing and advanced airport flight software.Thisensures that it has the maximum compatibility for these kinds of applications. In reality, there is an increasing number of aircraft passengers. So, it is a challenge for air traffic controllers to execute their work as efficiently as possible. Utilisingadvancedcomputing equipmenthelps them to optimise their workflow and maximise their work output.However,it is also vital to choose the right PC peripherals for these kinds of applications. 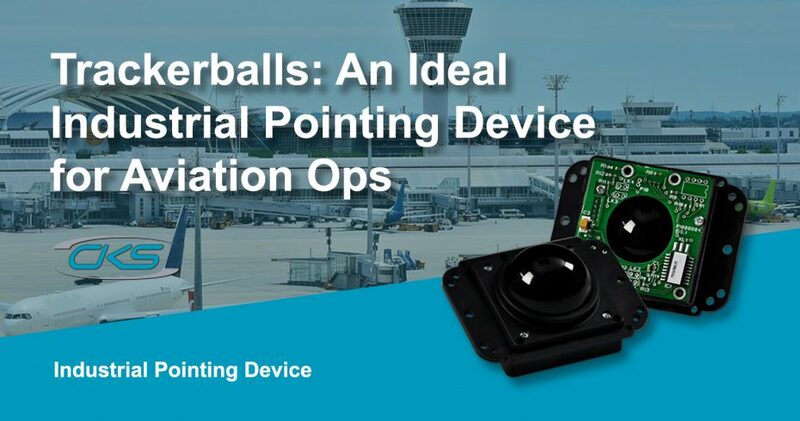 Simplify air traffic control operations using industrial PCs with compatibletrackerballs. Contact a trustedindustrial computer manufacturertoday.